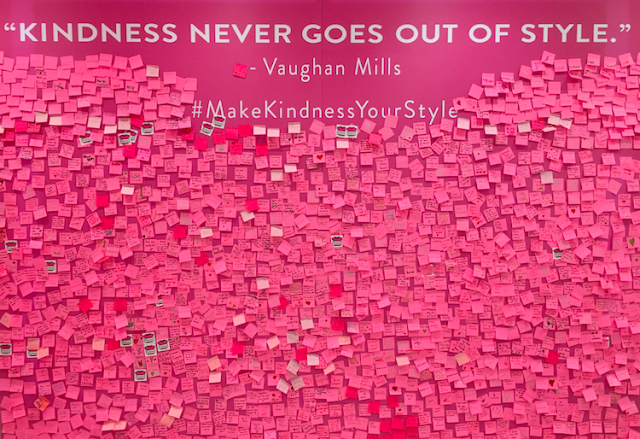 On Pink Shirt Day, hundreds gathered at Vaughan Mills Shopping Centre in support of bullying prevention, many donning their kindness-inspired tees. The evening marked a very special Pink Shirt Day Concert hosted by Katie Zeppieri, founder and CEO of Mark Your Mark and Girl Talk Empowerment Day. 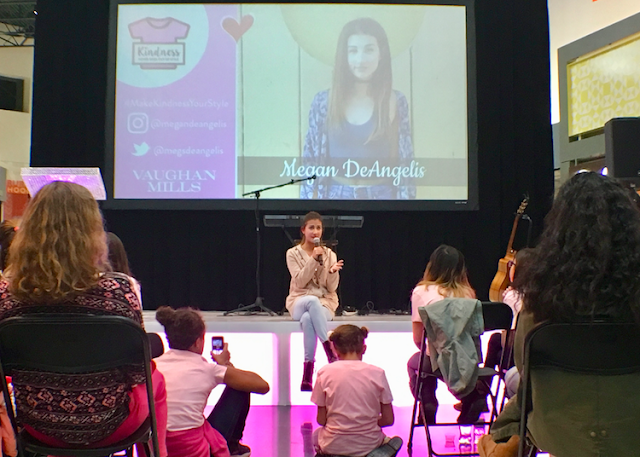 This free concert featured an incredible lineup that included popular YouTube star and actress Megan DeAngelis (a.k.a. MayBaby), JUNO award nominated singer Tyler Shaw of Toronto, and 17-year-old singer Ryland James, also of Toronto. The evening was a unique opportunity to not only watch live acoustic performances by young and talented artists but to join them in standing up to bullying and promoting the message that bullying is never okay. This included an up close Q&A session with Megan DeAngelis who shared her experiences with bullying. Pink Shirts were also available for purchase at the pop-up shop with a percentage of the proceeds to benefit empowerment programs for youth. As an added bonus, fans were invited to get their Pink Shirt signed by Tyler Shaw, Megan DeAngelis and Ryland James immediately after the concert at a special Meet & Greet. 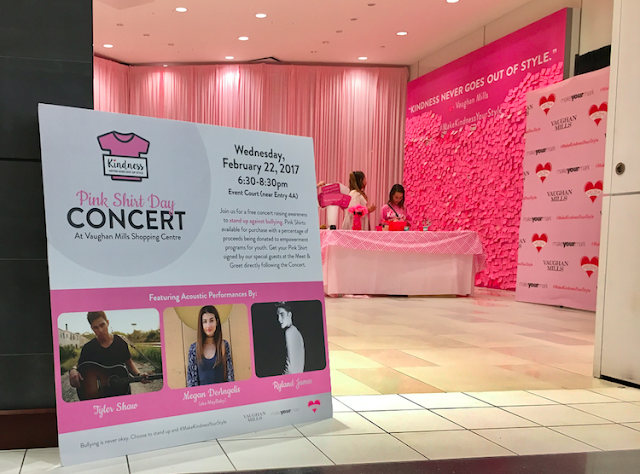 Disclosure: I am a #MakeKindnessYourStyle Pink Shirt Concert blogger and have received special perks. Any opinions expressed in this post are my own. This sounds like it was a great event!